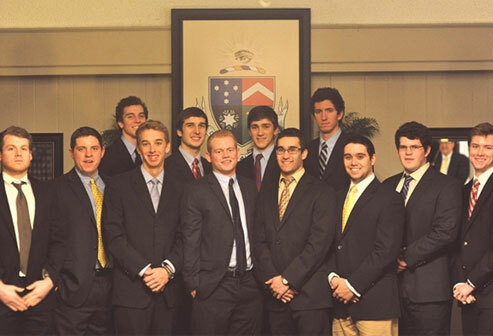 This fall, Delt brothers will continue to make strides to improve the image of Greek life and create life-long bonds. During the Spring 2017 semester, the brothers of the Gamma Upsilon chapter took many opportunities to bond and grow as brothers. 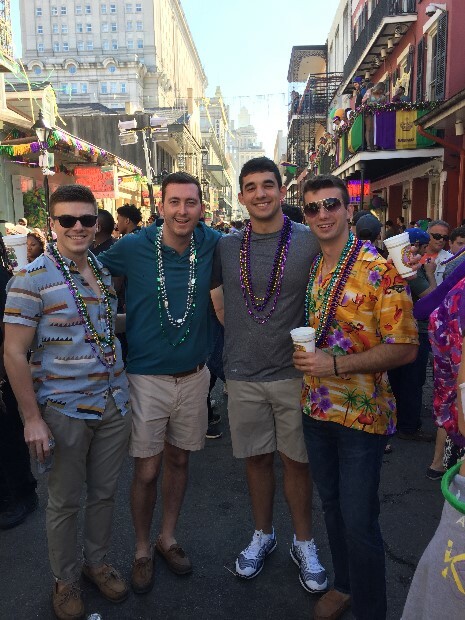 Pictured are seniors Ben Mertz, Ryan Bennett, Anthony Caneris, and Vlad Kovacevic on a visit to New Orleans for Mardi Gras. Brothers also took an opportunity to make sandwiches for the homeless through a charity called Club Sandwich, and helped the community in many other ways throughout the semester.